Travel Bug: The Japanese recession explained! Japan has been in a prolonged stagnant economy since I first arrived here 17 years ago. Even the global economic boom of the mid 2000's didn't help. The Economist says that the never-ending financial funk is because "the other main pillar of demand -- private consumption -- seems in no position to take up the slack... contracting by 0.5% in the second quarter." Hey, don't blame the consumer! Blame it on the daily practices of local businesses, who seem to be the only on the planet who have never heard the catch phrase, "Volume, volume, volume!!" One of the unique things about Japanese consumer goods is that they rarely aim at volume sales. Instead, most stores aim at selling just a few products, but at a ridiculous profit margin. Need proof? 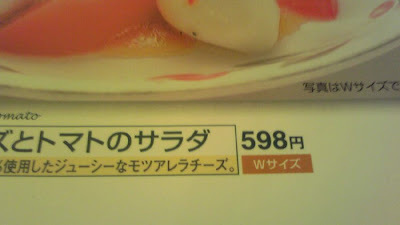 Check out the price of this Mango, which I found at the airport this year down in Kagoshima (southern Japan). Yes, you're seeing that correctly -- that's $200 for a freakin' mango! And it doesn't contain a hidden diamond or a small stash of cocaine. It's just a beautiful, perfectly overpriced piece of fruit. And somebody will pay for this insanely value added item to bring as a souvenir to impress some boss who probably doesn't even like mango. But it's expensive, which in Japan, means it must be good. OK, that may be a bad example. Most people don't buy this kind of fruit any more. So let's look at something more normal. Take pizza, for example. A large pizza here at any delivery place typically costs about $US30. Even for my relatively cheap all-time favourite, Ham and Pineapple, it's $27. That's a lot of money for discount pizza compared to the rest of the world. This is particularly true for for students and pathetic bachelors, the target audience of any respectable pizza place. This would explain why I've never been to a home party where people just order pizza. It's too expensive. Enter my old friend Saki, who used to work for an ad agency. On a group ski vacation, she once asked the foreigners in the group for an idea of how to make her client, Pizza Hut, more competitive in Japan. As we guessed, they had the same slumping sales as every other pizza place. Why? Because they have virtually the same menu, pricing structure and promotions as every other pizza place in town. 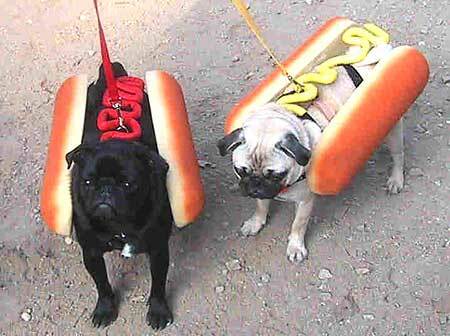 So we suggested they do 2-for-1. Try to win the market share by going for lower profit margin, but with huge volume sales -- which was very successful for many smaller pizza places in North America. "No, we can't do that here in Japan," was the only answer we got. And so the recession rolls along unimpeded. And we continue to order our pizza at COSTCO, where we get a extremely tasty HUGE pizza for about $US13. Eventually, I started seeing "W" (double) sizes on menus and pitchers of beer in bars. "Things are looking up, " I thought. But when we did the math, we saw that a 0.5 liter beer was 500 yen. And a 2 liter pitcher was 2,000 yen. Hmmmm, isn't that just the same price? Yes, they get you to drink more -- but there's no incentive to buy a huge beer that will sit and get warm on the table. So nobody does. Ditto at restaurants. For example, I just took this yesterday at Saizeriya, a popular chain of Italian restaurants. 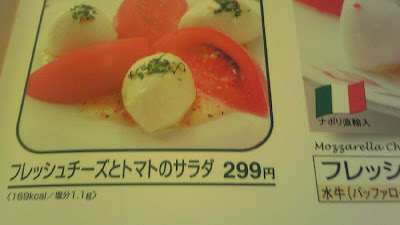 First, the cost of a normal order of Mozzarella and Tomato Caprese. And now the price of the double size (which, as it turns out, is not even double in size). The astute reader with reasonable math skills will notice that 598 yen is exactly double to price of 299. So in this case, the "double" applies only to the price. PAY MORE, GET LESS. Now there's a motto to live by. There is hope, however. While Japan is painfully slow at taking on new ideas and trying to "go it alone" to beat the competition, things are changing thanks to pressure from the increasing number of foreign companies or their Japanese reincarnations. Coffee as a consumer good changed thanks to Starbucks. Before Starbucks entered the scene, we had ONLY American and Blend coffee, and both tasted like boiled sock water. Now we have about 80% of the selection available abroad. But it wasn't until after Starbucks was everywhere and most local coffee shops had gone bankrupt that people finally stopped saying, "Starbucks will not last because Japanese people prefer Japanese style coffee shops." 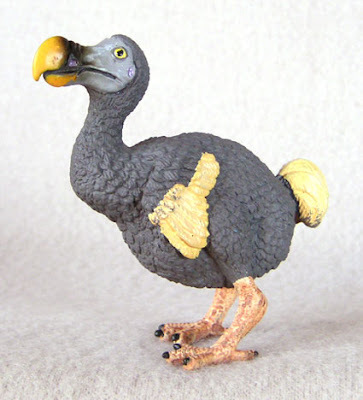 Clearly the Japanese are unfamiliar with the plight of the dodo bird. I reckon that the same pressure to change will happen as Japanese retail outlets see COSTCO and other companies continue to overflow with customers from the moment they open till the moment they close, 7 days a week. Eventually Japan Inc. will start realizing that they need more customers parting with their hard earned money, and the only way they'll do that is by offering deals and giving the consumer a break on the ridiculous prices being charged. In the end, everybody wins with volume sales. I just hope the change comes soon, because I would love to live on pizza!! This is Taku! It has been a long time since we exchanged messages last. The point you are making is very interesting for me. Although I studied economics at university when Japanese economy suffered its prolonged downturn, I had never thought of the deep-rooted supply-side structure that you have pointed out! One of the most interesting parts in your passage is "While Japan is painfully slow at taking on new ideas and trying to "go it alone" to beat the competition, things are changing thanks to pressure from the increasing number of foreign companies or their Japanese reincarnations. ", for I thought Japan has traditionally been good at copying foreign cultures since the Meiji Restoration. I heard that some foreign media reported Japanese businesses as "monkey see, monkey do” as Japan was enjoying its bubble economy in 1980s." In Kyoto there is a bar that offers one glasses of beer for 200 yen. Customers are supposed to drink standing. (There are no seats for the customers.) The intriguing point about this bar is that there are much more Western customers than in other more expensive bars in Kyoto (or Kansai area). Popular as this bar, I suspect that it should be much more popular among Japanese people considering its extremely low prices. It seemed to me that Japanese people tend to think, "OK, that's that." when they pay money. Hi Taku! Thanks for posting. Yes, I think that Japan does have a reputation for copying. In fact, I wrote about that a few entries ago: http://asia-travelbug.blogspot.com/2008/08/coffee-prince-and-starbucks-rip-offs.html The problem is that businesses here all seem to take an ultra-conservative view to how they copy. Instead of taking the "idea" of Starbucks -- greater choice and selection, a funky non-smoking space, an original product line, premium quality coffee but at a reasonable price -- companies in Japan just EXACTLY copy Starbucks. That's the monkey-see-monkey-doo thing. If you go to North America, Thailand or any other country out there, you'll see that MOST coffee shops have some element of the Starbucks success -- but they still manage to create a shop that is distinct enough that customers don't see it as a "Starbucks rip off." What I'd love to see more of here in Japan is for people to look outside of Japan and see what sells and how to create businesses where everybody wins. The customer wins by having great products at low prices. And companies win by having huge profits by outselling the competition. Instead, in Japan, companies still seem to think that if they sell something cheap, they have to sell crap. And if it's a quality item, it MUST be expensive. It doesn't have to be like this.